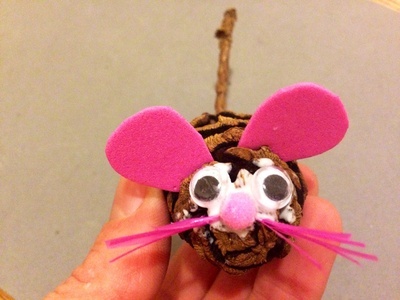 Create a cute little mouse friend out of a pine cone. 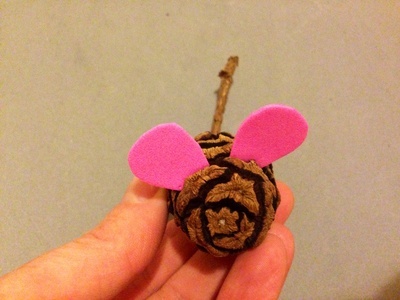 Cut two rounded ears from the foam sheet and stick them into grooves in the pine cone. Glue on googly eyes with strong glue. Glue on pom pom nose. 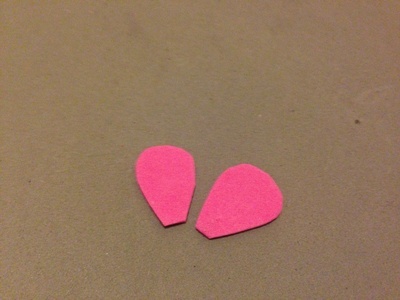 Cut 2 short pieces from the drinking straw. 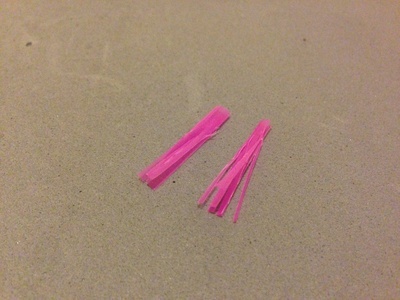 On each straw piece, cut one of the ends into thin fringes leaving one end uncut. These are the whiskers. 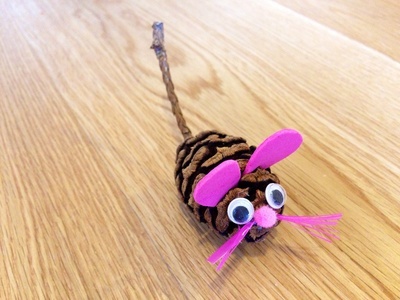 Glue the uncut end of each piece into a groove in the pine cone near the nose and spread out the fringed end to give whiskers. 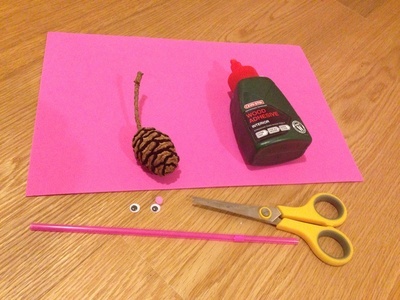 Glue on a piece of wool for a tail if your pine cone doesn't have a stalk. 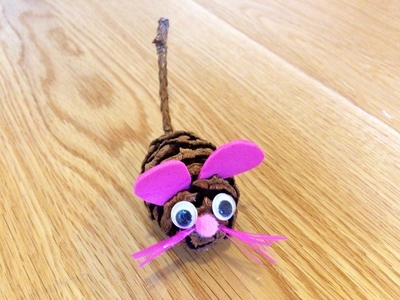 Try making lots to create a whole family of mice.